Using the Interactive Rosary is simple. After you read these instructions select the rosary mystery you wish to recite at the lower right of the Rosary graphic. 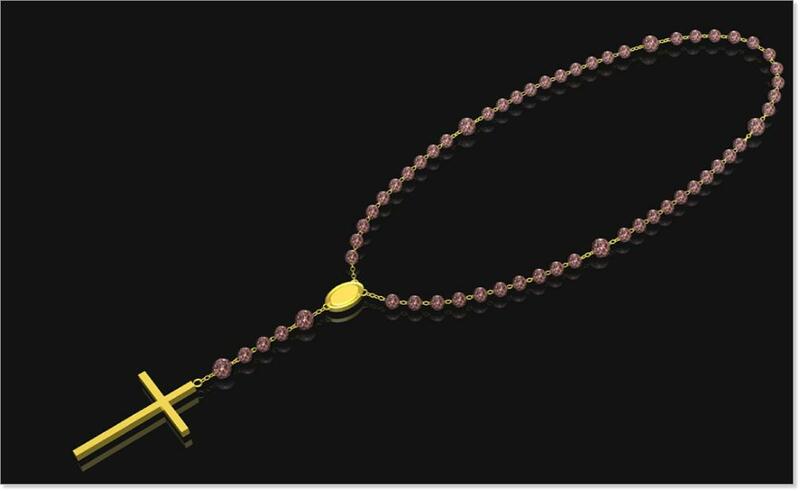 Run your cursor over the Crucifix and beads of the Rosary graphic to reveal the prayer to be recited. Start with the Crucifix and continue moving your cursor to each bead, going around the Rosary graphic in a "COUNTER CLOCKWISE" direction saying the prayers and mysteries as they become visible. One note, the Glory Be To The Father is said at the end of each set of Hail Marys and will be visible when you move your cursor over the space between the last Hail Mary and the Our Father (the large beads) on the Rosary graphic. Please include the intentions of the creators of this site in your prayers, Thank You! 2nd The Visitation - Mary visits Elizabeth the mother of John the Baptist. 5th Finding in the Temple - Mary finds Jesus in the Temple. *The Luminous Mysteries were instituted by Pope John Paul II in October 2002 as an optional addition to the traditional Rosary Mysteries.